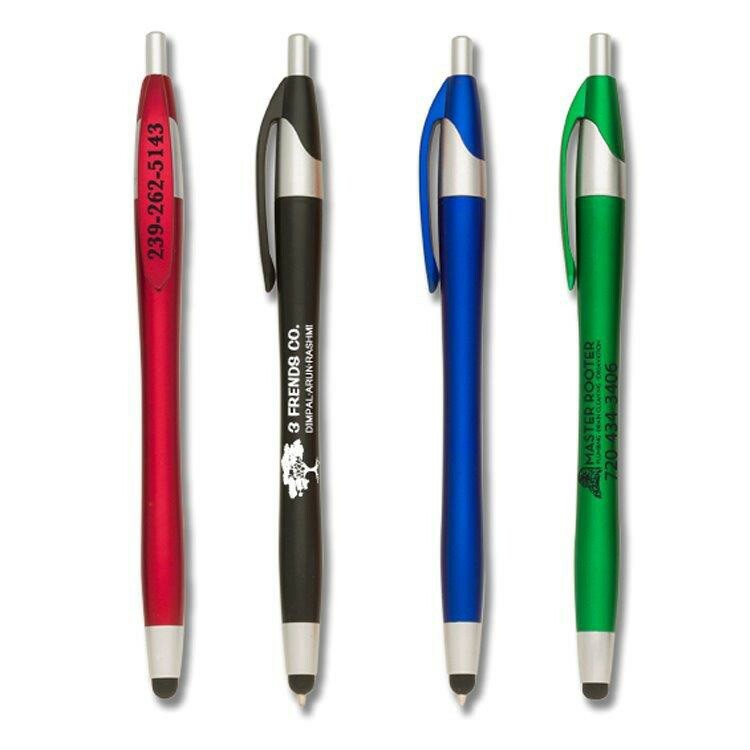 This retractable stylus pen, with its curvaceous contoured body, has become one of the most popular pens in the advertising industry. Very impressive with its hourglass shaped barrel and excellent stylus tip, you can't go wrong with this style. For the high quality, durability, and low low price, you simply won't find a better deal. • FREE Rush service is available.